KEMEROVO, November 14. /TASS/. Fragments of the skeleton of the biggest known Psittacosaurus sibiricus, or a parrot-beaked dinosaur, have been dug up near the village of Shestakovo in Russia’s Kemerovo region in Western Siberia, Konstantin Tarasenko of the Russian Academy of Sciences’ Paleontological Institute said on Friday. 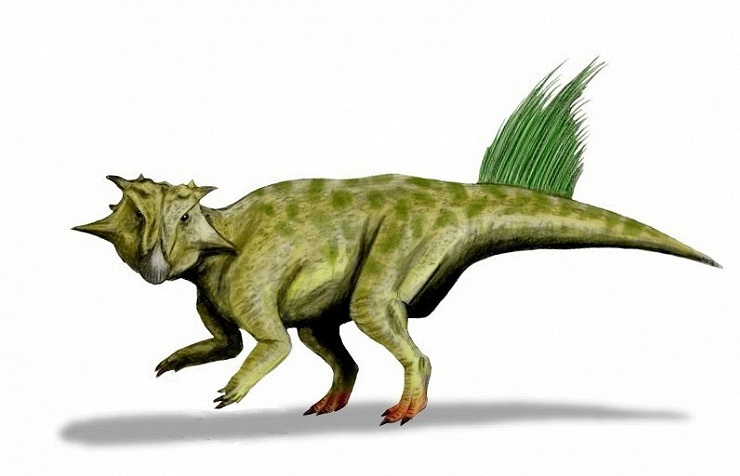 “Psittacosaurus sibiricus is believed to be about twice as big as Psittacosaurus gobiensis found in Mongolia. Now that we have fragments of the skull and a vertebra we think it was an adult dinosaur some 1.5 times as big as the ones found here before. It probably reached three metres,” he said. He said that the new fossil finds, if they belonged to an adult dinosaur, would make it possible to trace changes in a Psittacosaurus skeleton as the animal was maturing. Apart from that, these finds would add to the knowledge of their behavior patterns, for instance, scientists would be able to reconstruct their mode of walking, he noted. Tarasenko said paleontologists had discovered a “unique bone-bearing lenticle” (a geological layer with fossil bones). “Six skeletons have already been identified in the soil monoliths under study: both tiny Psittacosaurus dinosaurs of about 50 centimetres and very big ones,” he said. Scientists plan to examine one more soil monolith and hope to unearth about a dozen of paleontological finds. “Now these fossil bones are believed to have belonged to Psittacosaurus species, but it is not ruled out that a yet unknown species might be found here,” Tarasenko said. The big mass of fossil bones in one place, according to Tarasenko, may mean that these creatures died instantly in a natural calamity. “Most probably, the area featured a shallow bay, which, along with the animals, was washed away, say, by a mud stream at some point,” he guessed. Now, these finds will be studied by paleontologists. It typically takes from 3-4 to six months to extract the fossils from the soil and treat them with special chemicals to keep them preserved. Large-scale excavation works have been held in Shestakovo in summertime for quite a long time. Sixty 60 years of excavations have yielded fragments of skeletons of eight dinosaurs - from small raptors to giant 30-metre tall Sauropods. The most precious finds are two well-preserved skeletons of endemic parrot-beaked dinosaurs that roamed the Earth some 125 million years ago. Dinosaurs of the Psittacosaurus family lived in Asia about 100-130 million years ago. They were about the size of a gazelle and walked normally on two legs. They had a short snout with a powerful ‘beak’ on their upper jaw, making them look like a giant parrot. The rare finds will go on display at a local museum in late November.